Her late Royal Highness Princess Galyani Vadhana, Princess of Naradhiwas, always felt akin to her extended relatives, the descendants of King Chulalongkorn (Rama V). As there were numerous members of the descending families, she chose the birthday of King Chulalongkorn, which coincidentally was the same as her late brother's, King Ananda Mahidol (Rama VIII), as the yearly family gathering day. 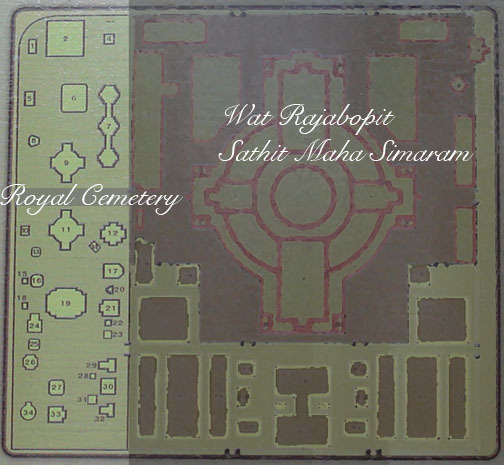 She also chose the venue to be the then much neglected Royal Cemetery at Wat Rajabopit Sathit Maha simaram, a Royal Temple of King Prajadhipok (Rama VII), built by King Chulalongkorn. 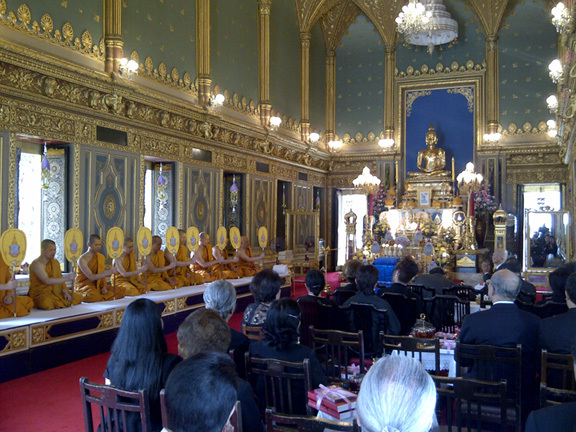 On her initiation, she was able to have a day of merit making for the dead members of the family, a rebeautified environment of the Royal Cemetery, and a family gathering day ending with a lunchoen for all attending members. The princess was also able to catch up on the news of each family and see many members who she did not have a chance to meet on a regular basis. 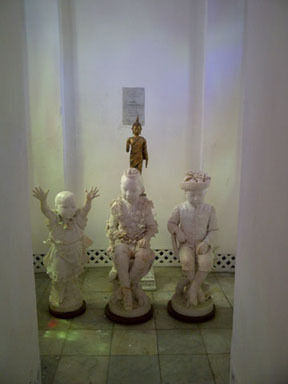 She also set up the Chulalongkorn Rajsantatiwongse Foundation, to help with the upkeep of the cemetery. It was certainly always a happy and colourful day, beginning with the gatherings at 10am at the Royal Temple of Wat Rajabopit, a beautiful mix of Thai and Western architecture. The merit making ceremony at the temple, with the monks chanting in old sanskrit, sometimes with Royal chants of old, always bring back flashes of days gone by. The chanting usually ends before 11, and everyone then visit their family's mausoleum, as well as others, usually the ones that a person is closed to, or once there were some kind of connections between members of the families. It was also a chance to reflect about their own family history, the teachings of the elders, as well as a time of peace and quiet in an ever more busy lives we all lead. With the passing away of Princess Galyani in 2008, there has been many different members of the family preciding over the ceremony, including at one time Her Royal Highness Princess Somsawali, herself a descendant of the Royal House of Kitiyakara. 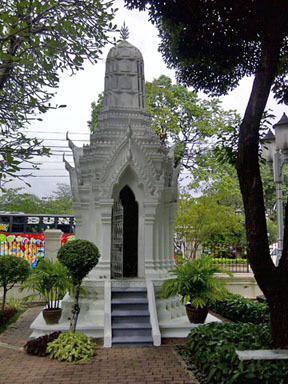 Princess Galyani's ashes were also intered at the Rangsri Vadhana stupa, the "home" of the late Queen Sri Savarindhira, King Bhumibol's grandmother, and her descendants, including the present king's late parents. Their Majesties the King and Queen performed the interment ceremony of the ashes of Princess Galyani Vadhana at the Rangsri Vadhana Mausoleum at Wat Rajabopit, 19 November 2008. The year 2011 has been a quiet one, with fewer than 50 members attending, and with no royal patronage by a member of the Royal Family. Nevertheless, the gatherings will go on, as many want the wishes of Princess Galyani to be continued. It is still a chance for many distant relatives to meet up, which usually ends with a luncheon at a nearby restaurant. The Serene Highnesses still turn out in full force, but it is time that the younger descendants start taking an active role, as the continuation of the family gatherings is much needed to keep alive the memories of the different Royal Houses of Siam.